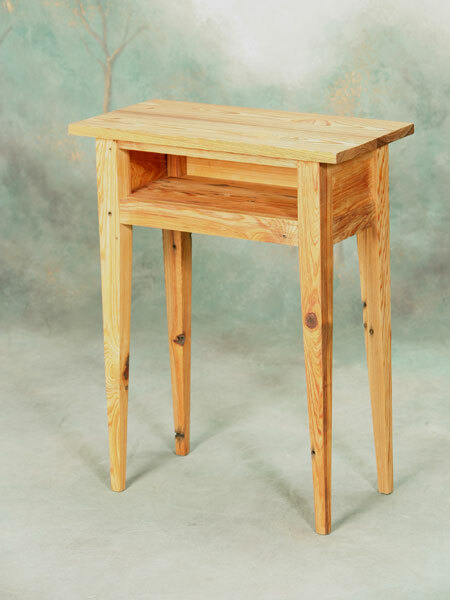 This 12" x 24" telephone table is a custom piece designed for lite storage. It can be used with the opening to the wall as a hidden storage, or to the front. Features a single plank top, with recessed panels on the side and rear aprons. Custom sizes available.